What is Hydrotherapy and how can it help me? Hydrotherapy is a popular method used by many Physiotherapists in the treatment of a wide variety of conditions (Downie, 1984; Davies and Harrison, 1988). 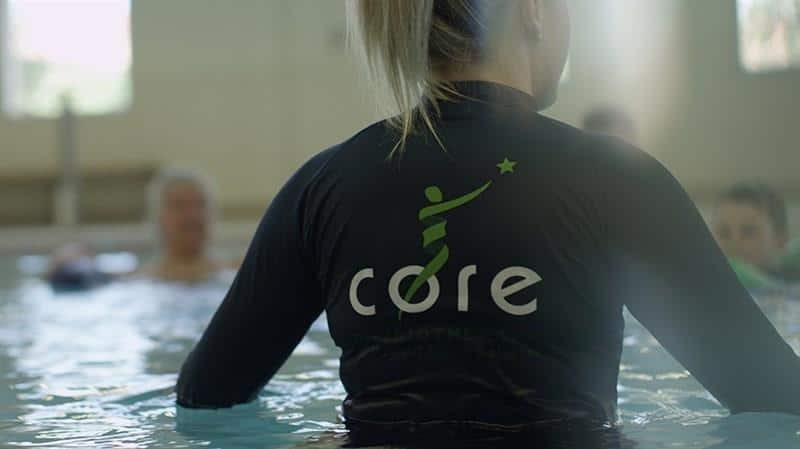 The water in hydrotherapy pools is heated to approximately 33°C, creating a supportive and safe environment for both exercise and rehabilitation. Buoyancy and the elasticity of the water decreases the level of weight bearing when we are in the water and this reduces the stress that’s put on the body. This helps people that are recovering from surgery or injuries, the elderly or those that may be too overweight to exercise. The deeper the water the more compressional stress is removed from the body. As a client improves we can adjust the load on the body by moving to shallower water. Deeper water can also be used to allow exercises to reproduce traction on the spine and joints. Movement in water is always under the resistance of the water that is displaced and the resistance is controlled by two factors. Moving greater volumes of water adds more resistance to movement. The quicker the movement, the more resistance that is generated, meaning that the intensity of exercise can be adjusted by increasing or decreasing the speed of movement in water. The volume and water moved and speed of movement are used to make hydrotherapy exercises harder or easier and progress a client as their ability improves. The movement of the water creates a rocky environment, forcing the core muscles to work hard to remain balanced in the water. A Hydro Physiotherapist is able to use the water environment to challenge these muscles as a clients core stability improves. The temperature of the hydrotherapy pool is approximately 33 degrees, this combined with water pressure, helps to improve circulation and decrease swelling throughout the body, helping to relax muscles and relieve pain. Hydrotherapy pools provide a private, enclosed and safe environment to exercise in. Before you begin any exercise program we recommend that you consult your doctor, physiotherapist or allied health practitioner to discuss any health concerns that you may have and find a program that suits you.